The idea of a stylus in the modern Digital Age was one that Apple co-founder and former CEO Steve Jobs staunchly opposed. But even though the company hasn’t officially brought forth stylus support to match the S Pen of many Samsung ‘Note’ products, this hasn’t prevented third parties from trying their hands at creating such accessories for iPad users – particularly those wishing to get creative. The Pencil stylus, which has already been subject to much acclaim and a handful of design accolades, will be getting a healthy software bump to coincide with the release of iOS 8, and with it, users will be able to enjoy pressure-sensitive strokes for the first time. The great thing about Samsung’s S Pen is that it is sensitive to pressure, allowing a user to create thick, dark lines and less prominent, lighter shades depending on the strength of the pen stroke. The Pencil, which has been knocking around the block for Apple’s iPad for some time, is very much aimed toward those utilizing the broad range of design-centric apps available across iTunes, and with pressure sensitivity, will add a whole new dimension to proceedings. It’s worth pointing out that there’s no actual pressure sensitivity in either the Pencil or the iPad, but rather the design of the Pencil’s tip allows the software to be manipulated into believing this is the case. 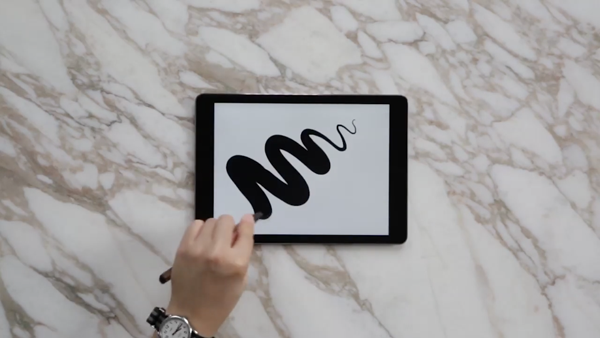 The nib of the accessory flexible, so when lines and shapes are drawn at certain angles following the software update, they’ll appear darker and thicker on the page; while at other times, they’ll show up more thinly. This, in turn means that you can make good use of the accompanying app Paper to the nth degree! 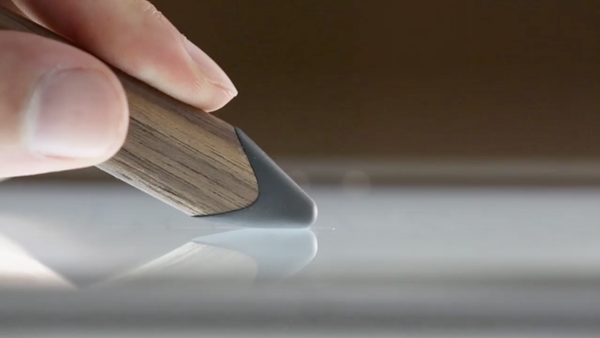 The Pencil’s eraser will also offer pressure sensitivity – such as it is – with a software update later on this year. Given that we’re not expecting iOS 8 to arrive until September at the earliest, current and prospective Pencil owners will have to be patient in order to enjoy what will be a very productive update, and hopefully, sketches, notes and drawings will be considerably enhanced as a result. The Pencil itself is not cheap – the graphite version will set you back $60, and you’ll have to fork out $75 for the walnut finish. This is a lot more expensive than your traditional pencil, which costs pennies by comparison, but if you’re a creative individual looking to truly embrace the Digital Age, then this is the kind of tool you’ll want to have in the inventory.